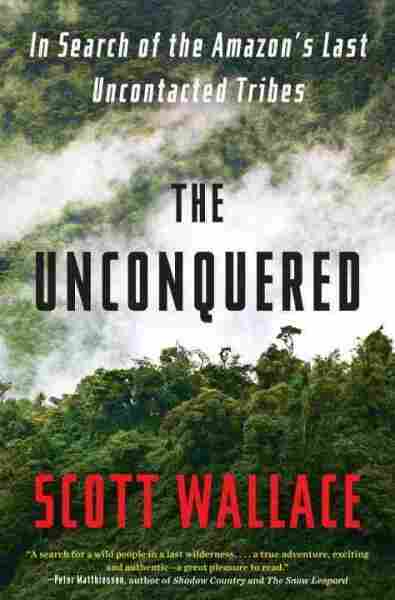 'Unconquered' Explores An Isolated Amazon Tribe In his book The Unconquered, journalist Scott Wallace goes deep into the Amazon rain forest to learn about a group that has never come into contact with modern civilization. 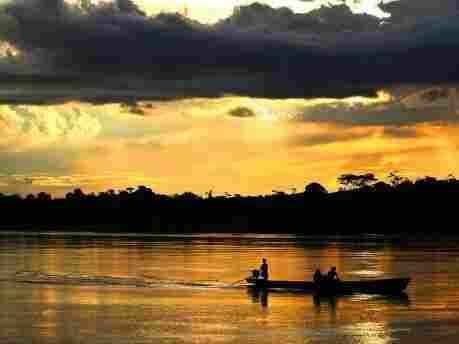 The rain forest around the Amazon River is home to some of the only surviving societies of people untouched by modern civilization. The 7 billion people on this planet have never been so connected. People in Shanghai can communicate instantaneously with people in Sioux City — which makes it all the more remarkable that there still exists a few thousand people in the Amazon rain forest who have never had contact with modern civilization. In 2002, National Geographic asked journalist Scott Wallace to chronicle the trip of a 34-man team to search for the perimeters of a people known as the flecheiros — or the Arrow People. The Unconquered is the story of the team's paradoxical quest: to study the Arrow People without coming into contact with them, for the safety of the explorers and the tribe. 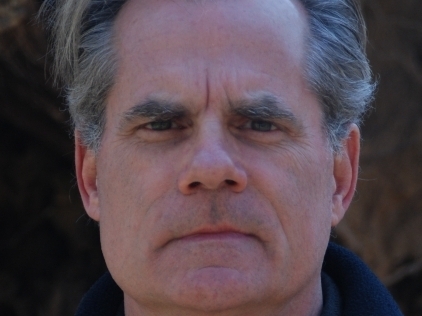 "They are known as tenacious defenders of their land," Wallace tells NPR's Scott Simon. "People who have tried to enter their territory have been repelled with poison-tipped arrows. There was no way they could understand our presence in their land as anything other than a hostile intrusion, although we would leave a gift here and there — cooking pots, machetes, ax heads — [to] demonstrate our peaceful intentions." But the dangers the explorers posed to the Arrow People were far more insidious. The tribe has no immunity to the germs from the outside world. Common contagions — the cold, influenza or measles — could be devastating. Furthermore, the expedition was assiduous in making sure the tribe's way of life would be preserved. "As soon as you get close enough to them to try to help them, you're introducing this host of competing values and creating desires in them that they didn't have before," Wallace says. "They begin to forget how to hunt traditionally; they want shotguns, they want shotgun shells, blankets, all sorts of stuff. Right now, as they are, they can live in the jungle completely free of the world's money, economy and thrive quite well." At the center of The Unconquered is the explorer Sydney Possuelo, who led the expedition. In his former capacity as head of FUNAI, the National Indian Foundation, he also persuaded the Brazilian government to protect the land and privacy of these isolated tribes. Wallace describes Possuelo as an easy man to admire and a difficult man to like. "He had a remarkable rapport with the Indians," says Wallace, "but [he] was something of a tyrant when it came to dealing with his fellow white men." 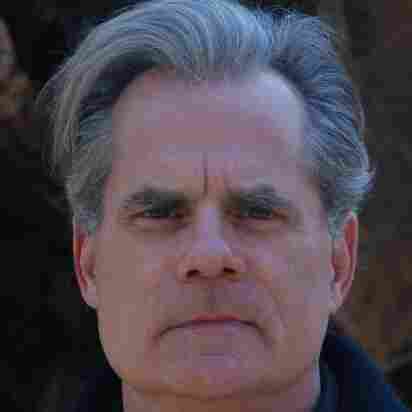 Scott Wallace is a writer, photojournalist and a former correspondent for the Guardian and Newsweek. The Unconquered is his first book. The journey began with two weeks of travel by river, "up a tributary of a tributary of the Amazon," Wallace says. Then the team left their boats and walked into the closed-canopy forest. For three weeks, they walked in single file, machetes in hand, bushwhacking a path in the virgin jungle. And then they began finding ways of understanding the Arrow People from a distance. Like detectives, they built narratives out of clues. Wallace recalls the first time the team saw physical evidence of the Arrow People: "We came upon an abandoned camp where they had left leaves on the ground, and you could see the indentation of bodies that had slept there. Then, we began to get really close and found footprints that were really fresh."